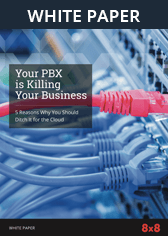 New Communications Options for SMBs | 8x8, Inc. This is a guest blog post by analyst Blair Pleasant who is co-hosting a webinar with 8x8 June 28 11am PT / 2pm ET and was originally posted on her blog. I recently wrote an article for No Jitter entitled “Best of Breed Isn’t Always Best.” The premise is that businesses generally have to choose between “best-of-breed” and single platform solutions and that all-in-one or single platform solutions may be the best option for many businesses. The article explains that while many businesses have “moved towards a hodge-podge of supposedly-interoperable products and technologies that need to be integrated and tied together to somehow provide a seamless user experience,” there may be better alternatives. I found from talking to businesses and vendors that many organizations are struggling with the fact that users have too many tools and are confused by which one to use for which job, resulting in lower user adoption of the technologies. In many situations, a tightly coupled cloud-based solution combining calling, contact center, and collaboration from a single vendor may provide better outcomes and clear benefits. Obviously, it’s easier to deal with fewer vendors and be able to pinpoint the solution if there’s a problem, and there’s less finger pointing when there’s an issue. In addition, businesses don’t have to deal with integrating various products or services and ensuring that they’re interoperable. It’s also easier for users to seamlessly move from one communications channel to another without having to worry about integration challenges. Don’t get me wrong – there are certainly cases where best of breed makes sense, and there are many vendors with specialized offerings that I would gladly recommend to businesses. That being said, there are clear benefits of using an integrated product or service from a single vendor that provides a full range of capabilities – especially for small-and-medium-sized businesses (SMBs). Integrated or all-in-one offerings may be best suited for SMBs, as they generally have limited IT staff and tight budgets and need simpler, more cost-effective solutions. For most SMBs, it’s much easier to work with a single vendor or provider for business communications needs rather than multiple providers. SMBs often have to compete with large, global organizations with much greater resources to use for technology purchases or investments, requiring solutions that will help them look larger and compete on a level playing field. 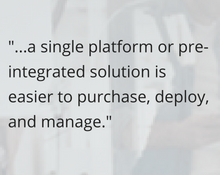 In addition, as SMBs don’t have the financial or IT resources to devote to ensuring seamless integration of their business communication solutions, including UC, contact center, and collaboration, a single platform or pre-integrated solution is easier to purchase, deploy, and manage. The concept of integrating UC and contact center has been around for a long time. For years, I’ve talked/written about the value of an integrated UC and contact center/customer interaction solution, and how it can help businesses provide better customer engagement and first contact resolution (FCR). What’s different today is the cloud. Cloud services make it easier to break down the separate silos and have a more tightly integrated solution. There are many benefits and several use cases of having an integrated communication and contact center solution. 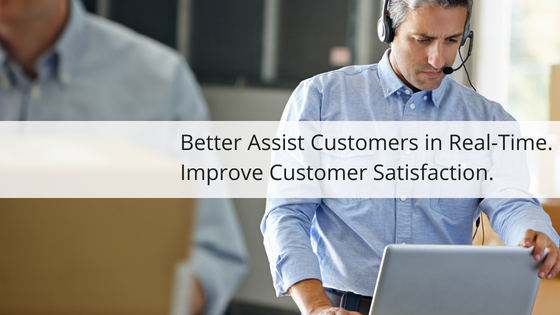 The key use case is when agents and subject matter experts across the organization can more seamlessly work together to answer customers’ questions and solve their problems quickly, resulting in increased customer satisfaction and loyalty. By integrating contact center and UC capabilities, agents can communicate and collaborate with subject matter experts and others in various departments or roles throughout the business using any channel, including phone, chat, conferencing, video, etc. 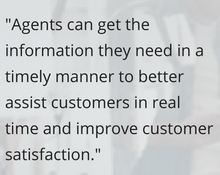 Agents can get the information they need in a timely manner to better assist customers in real time and improve customer satisfaction. More and more vendors are providing combined UCaaS and CCaaS offerings. 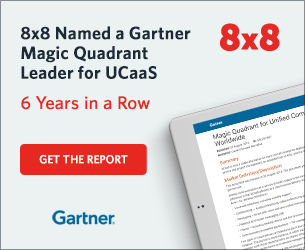 For example, 8x8 recently announced its X Series platform, combining its cloud communication services and cloud contact center services, with one common data layer, engine, and workflow. Download the 8x8 webinar called “A New Wave of Communications for SMBs,” that I did on June 28, 2018. We discussed how SMBs can use cloud-based communications and contact center capabilities and go beyond basic dial tone to expand and enhance customer engagement and better compete against larger enterprises to provide. I was joined by Lee Seidman of National Physician Services who provided his perspective on how cloud business communication services can help SMBs thrive.